Our full line of English Muffins are making the switch to clean label* and feature 2, 3 and 4oz sizes in a variety of flavors. No ADA, calcium propionate, calcium sulfate, calcium phosphate, acacia gum, or high fructose corn syrup. 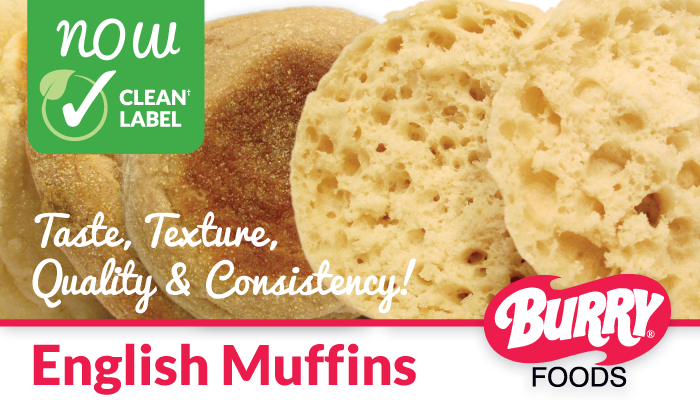 Click here to lean more and see a complete listing of our English Muffin line. *Contact Burry Foods for more detail on our Clean Ingredient formulation standards.